Successfully Added Wireless LED Projector 'Pebble' - DLP + Brilliant Color Technology, 854x480 Resolutions 16:9 Aspect Ratio, 15 to 60 Inch Image to your Shopping Cart. 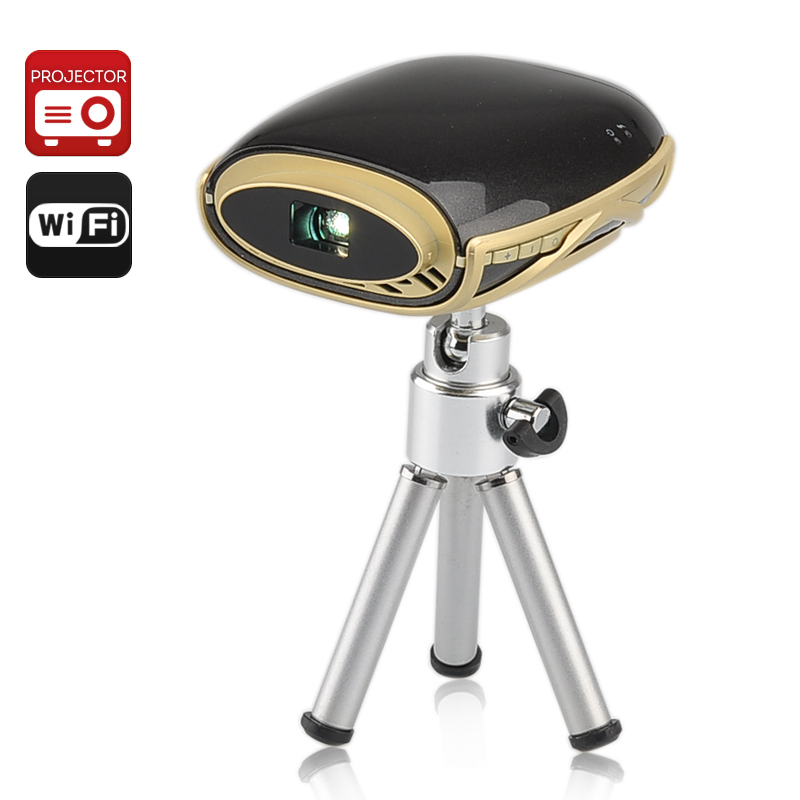 The 'Pebble' Portable Wireless LED Projector has DLP and Brilliant Color technology 854x480 resolutions 16:9 aspect ratio 1000:1 contrast and manual focus so it makes sharing videos fun and easy anywhere you may be. This 50 lumen portable wireless pebble projector is small and light enough to carry in your pocket with ease. The DLP and brilliant color technology enables this projector to achieve a high standard of picture quality covering a wide color pallet for more realist lifelike images. These images are displayed at a 16:9 aspect ratio with at a native resolution of 854x480 and have a contrast ratio of 1000 to 1 so it’s like having a large screen TV at a fraction of the size and price, which is small enough for you to carry around in your pocket. With a Mobile High Definition link (MHL) you can connect your mobile phone, tablet or other compatible portable electronic device to this projector enabling you to play films or presentation in a large visual format at up to 60 inches, measured on the diagonal. For a truly wireless experience you can use the Wi-Fi on your phone laptop to connect to this device and share the images directly on a big screen using Screencast or Miracast making those conference meetings or setting up home cinema quick and easy. With a 90 minute battery life you should have enough for most uses but the included HML dongle allows you to charge this project while it plays allowing for greater versatility and longer usage wherever you may be.